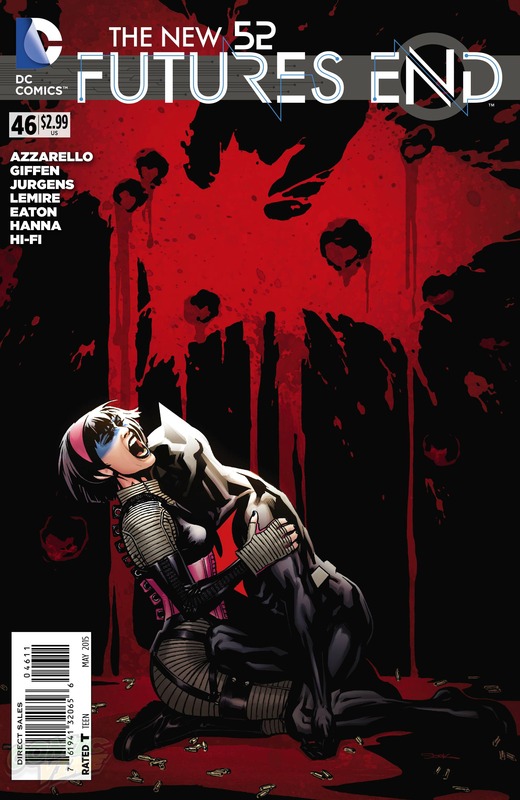 DC Comics’ New 52 Futures End #46 hit stands today. 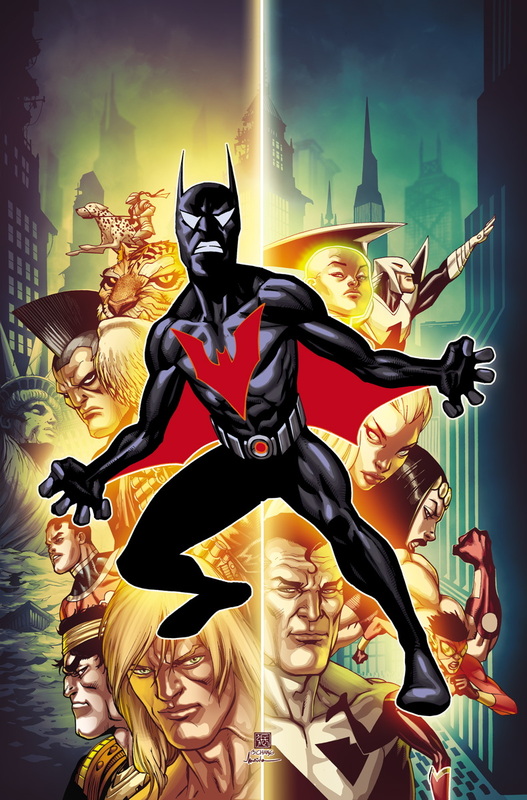 The cover is ominous and we know post-Convergence there’s a brand new Batman Beyond. So, does Terry McGinnis die or retire? 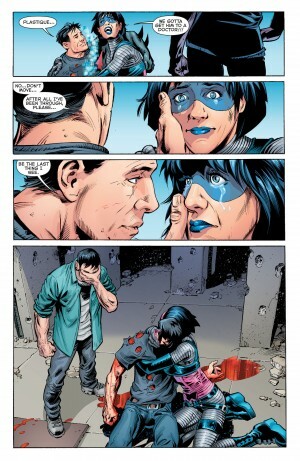 Spoilers for DC Comics’ New 52 Futures End #46 follow. Well, this fellow is responsible for what happens. 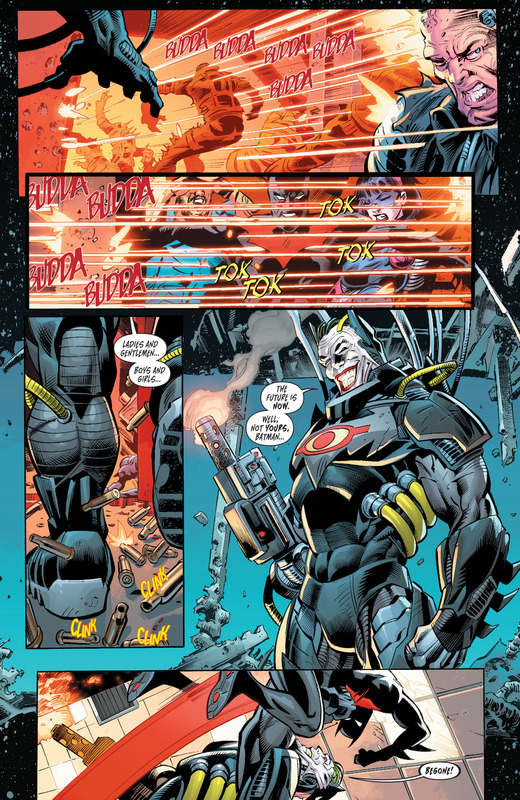 The Joker’ized Batman robotic monstrosity. And, unfortunately, Terry McGinnis the original Batman Beyond appears to die. 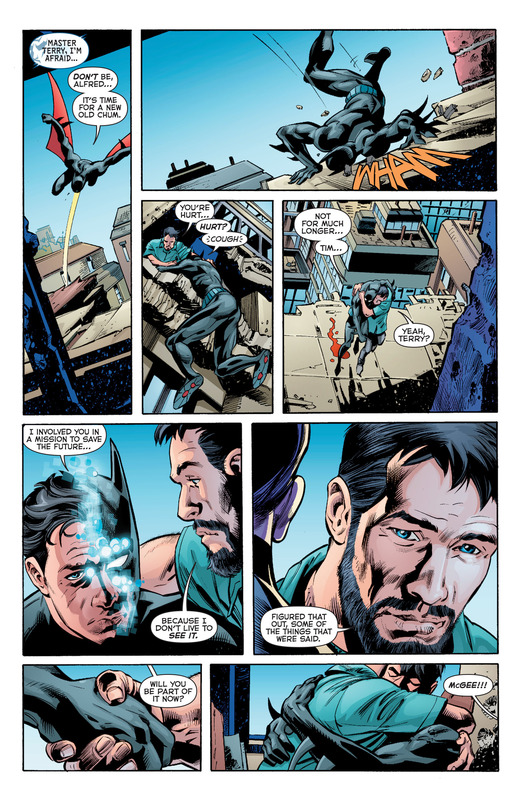 RIP Terry McGinnis, DC Comics first Batman Beyond. Hello, perhaps, adult Tim Drake as the new Batman Beyond? 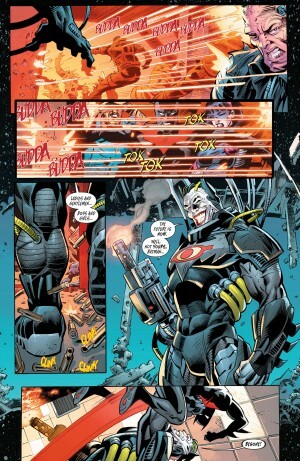 Looks like a new Batman Beyond may debut in next week’s New 52 Futures End #47 from the teaesr cover we’ve seen. Solicitation for DC Comics’ June 2015 Batman Beyond #1 below plus cover for the “new” hero.